While most commercial roofing systems, when properly designed, installed and maintained, are meant for long-term performance, many can and will develop problems during their lifespan. But, no matter how damaged the roof, there are options to correct problems with a commercial roof. 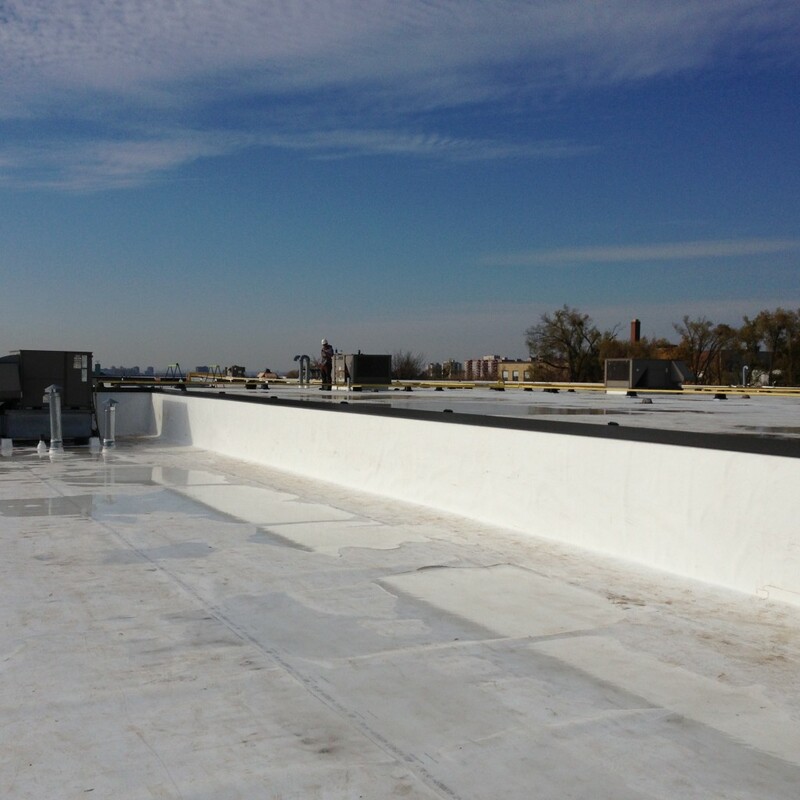 Before it can be determined which solution is best suited for a commercial roofing problem, it’s important for commercial roofers to identify a few key factors about the building and the state of the roof damage. Many issues such as the nature and location of the building, long- and short-term use of the building, occupant requirements, type of roofing system in place, roof insulation and potential moisture problems have to be addressed. Once a commercial roofing company has identified the building requirements and the physical issues affecting roof performance, the decision to recover, repair or replace the roof can made based on the following criteria. In the instance that a roof has been properly installed and is in sound condition, the option to recover may be the most effective solution. This may be the case primarily if a roof has good insulation and has not been recovered before since a roof can only be recovered once. Recovering a roof is also more cost-effective and less disruptive than a full roof replacement. Extended or new warranties may also apply when recovering a commercial roof. If the roof damages are minor, they can easily be repaired or coated to extend the life of the roof. This is the best solution if the roof membrane and insulation is in good condition and if the building owner would like to keep costs to a minimum. If the nature of the roof damage is too extensive to recover or repair, full roof replacement may be the only option. As a rule of thumb, if 25% or more of a roof is damaged, it is best to replace it. Another reason to replace the roof may have to do with the insulation, if it is too wet or not up to par. Other factors to consider when looking into a full roof replacement include the owner’s long-term plans for a building, lower maintenance costs, energy savings and taking advantage of the latest technologies and roofing materials.